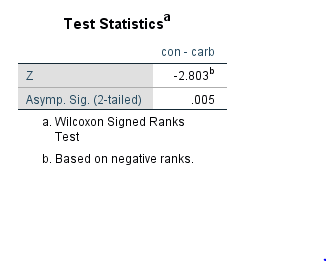 I ran Wilcoxon signed test using scipy.stats.wilcoxon (https://docs.scipy.org/doc/scipy/reference/generated/scipy.stats.wilcoxon.html) and Jasp. I got p=0.005 in python and p=0.002 in Jasp, I was wondering why might that be? I attach a csv file with the paired data I was testing. I'll pass this on to Johnny. We use a particular R package I think. The difference lies in whether a normal approximation is used for the p-value. From the SciPy page: "Because the normal approximation is used for the calculations, the samples used should be large. A typical rule is to require that n > 20." Cheers again, love your software btw!